We offer a technology for reservoir identification and porosity, oil/gas saturation coefficients and hydrocarbon content determination by 2NNKt+SNGK-Cl neutron methods complex. Oilsaturation determination is realized by “chlorine deficit” in oilsaturated reservoir in comparison to watersaturated, gas-saturation determination is realized by “density deficit” in gas-bearing reservoir in comparison to oilbearing and waterbearing. • identification of intervals with residual gas-saturation in open hole. This technology is performed by SPRK digital radioactive spectral logging tool for several measurement methods: SNGK spectral neutron-gamma-ray logging, 2NNKT dual-sonde epithermal neutron logging and NGK-60 method is realized when registing capture gamma-rays of thermal neutrons with energy up to 500 keV. At Customer’s demand the equipment may also include natural gamma-spectral method (GK-S). The equipment is developed by OAO NPP VNIIGIS together with ZAO NPF GITAS. The downhole tools diameters 90 and 48 mm provide through-tubing surveying. 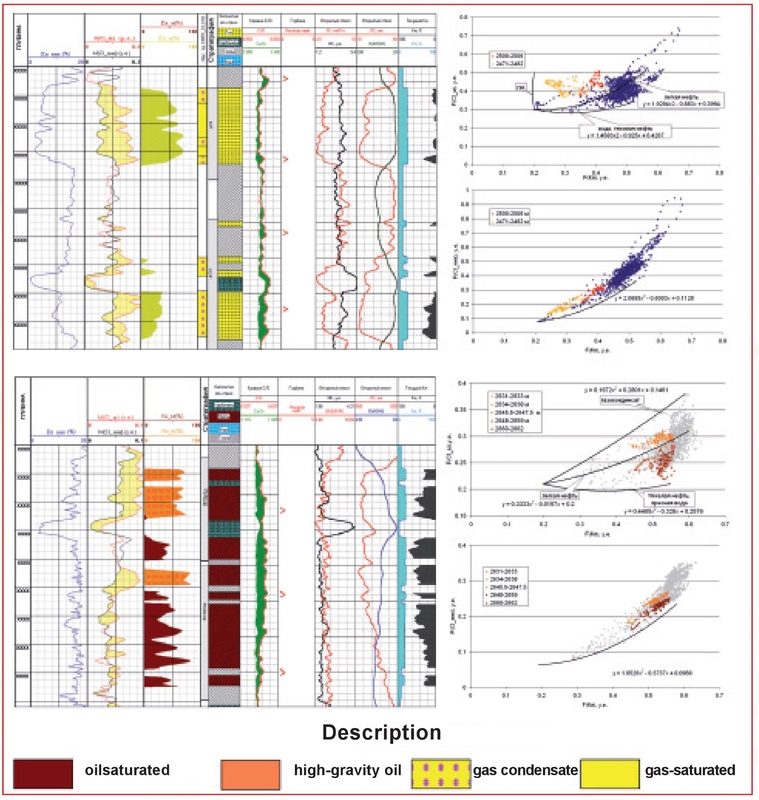 2NNKT and NGK-60 geological-geophysical characteristics completely answer the nuclear logging equipment properties. This provide the continuity of porosity methods. In that case the technology is applicable in oil-and-gas field development monitoring. 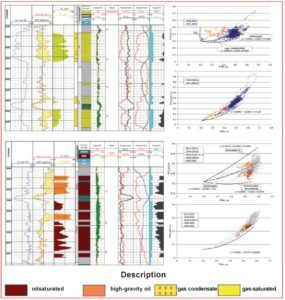 Besides, SNGK method provides understanding of rock material composition effects on the oil-and-gas saturation coefficient, that improves the reliability of the reservoir saturation nature determination. The technology was successfully tested in different geological-technical well conditions of Kazakhstan, Ural-Volga region, Western Siberia oil/gasbearing province, China and also including directional/horizontal well logging conditions. PAO NPP VNIIGIS and AO NPF GITAS provide equipment delivery and render service on geological problems solving with the provided technology.